On November 10th, Frida and Diego arrive in San Francisco where Diego has been commissioned to paint murals in the Luncheon Club of the San Francisco Stock Exchange and the California School of Fine Arts [now the San Francisco Art Institute]. In 1930, Kahlo went with her husband to America. During this time, and for much of her conjugal life with Rivera, Kahlo did not receive recognition as an artist in her own right. "Wife of the master mural painter gleefully dabbles in works of art," read one headline when the couple visited Detroit. Rivera was used to being the center of attention, and he often neglected Kahlo for his art — not to mention for numerous extramarital trysts (one of the cruelest affairs Rivera had was with his wife’s own sister, Cristina). When Kahlo saw that she was second in line, she abandoned her own artistic aspirations and became a good housewife, bringing lunch to Rivera’s workplace and devotedly hanging around him. During their early years together, Kahlo often followed Rivera moved around a lot based on where the commissions that Rivera received were. 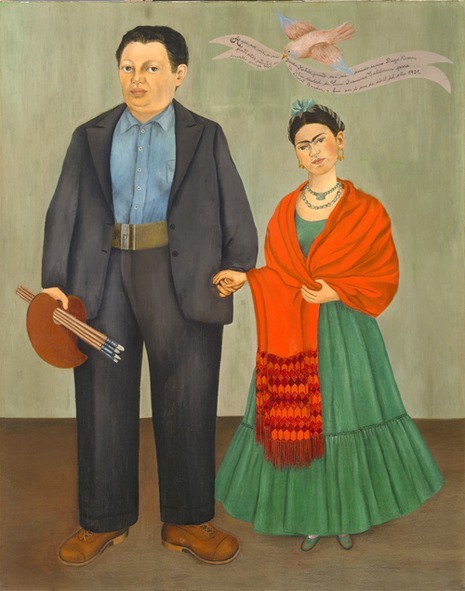 In 1930, they lived in San Francisco, California, where Kahlo showed her painting Frieda and Diego Rivera at the Sixth Annual Exhibition of the San Francisco Society of Women Artists. 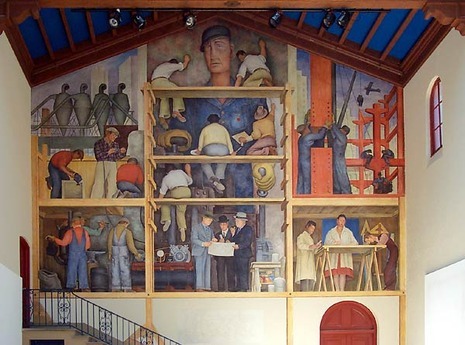 They then went to New York City for Rivera’s show at the Museum of Modern Art and later moved to Detroit for Rivera’s commission with the Detroit Institute of Arts.